The Iannaccone family welcome you to Ristorante Luce formerly named Raffaello’s Ristorante of Hamden, CT. We invite you to dine with us in our beautifully renovated dining room or join us for cocktails or dinner in our new elegant cocktail lounge. During the summer months our patio is open for dining or cocktails. As recipients of the Wine Spectators Best of Award of Excellence for seven consecutive years, our wine program is a very important part of the restaurant. Our wine list includes over 1000 selections which span five decades. Our friendly, relaxing contemporary Tuscan atmosphere has helped us earn Connecticut Magazine’s Reader’s Choice Award for Most Romantic Restaurant in New Haven County as well as a Sante Magazine Restaurant and Hospitality Award. Ristorante Luce is also listed in the Zagat book. Dinning Room Hours: Lunch Monday thru Friday 11:30-2:30, Dinner Monday thru Thursday from 5:00-9:00,Friday and Saturday 5-10 and Sunday from 2:00-8:00. Bar and Cocktail Lounge Hours: Monday thru Friday 11:30 until closing. Saturday 5:00 until closing. Sunday 2:00 until closing. Location: Conveniently located minutes from the Merritt Parkway and I-91 Ristorante Luce (formerly Raffaello’s Ristorante), founded in 1992 by Ralph and Anna Iannaccone, is located in the Mt. Carmel section of Hamden. Twenty years and several awards later we are still serving fine regional Italian cuisine, fresh fish specials and certified Angus beef. As recipients of the Wine Spectators Best of Award of Excellence, our wine program is a very important part of the restaurant. Our wine list includes over 1000 selections which span five decades. 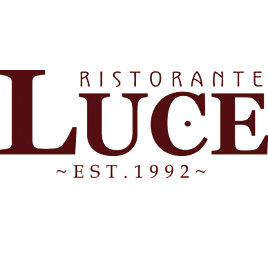 Ristorante Luce is a family owned business (formerly Raffaello’s), founded in 1992 by Ralph and Anna Iannaccone, and is located in the Mt. Carmel section of Hamden. Twenty years and several awards later we are still serving fine regional Italian cuisine, fresh fish specials and certified Angus beef.